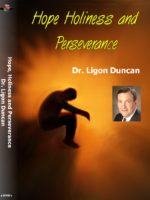 God used His servant Ligon Duncan in an extraordinary way to deliver a message “Hope for the depressed in heart” on Elijah which will greatly encourage you. What happened in his flight and thereafter. God’s grace in the chariots of fire and what happened on the mount of transfiguration – don’t miss this and his other messages below. To download Right Click on the player and select “save as” and choose a place on your hard disk where you want to save the mp3 file. If you want to own these messages on CD, DVD or mp4 download our catalogues and order by snailmail ( we will have to quote for postage depending where you live). Don’t forget to browse our other 2200 sermons. To start with, listen to those in Afrikaans by Nico van der Walt and in English – Joel Beeke, Martin Holdt, Stuart Olyott, Steven Lawson, Don Theobald, Brian Edwards. Enjoy! Don’t forget to ‘like’ this and to recommend our site to others. We make these mp3’s available for free but want to ask that if you were blessed through it, please consider supporting this full time ministry by donating to cover our costs in rent, living, recording, editing and maintaining two websites. Phil 4:15,17 “15 And you Philippians yourselves know that in the beginning of the gospel, when I left Macedonia, no church entered into partnership with me in giving and receiving, except you only.